PADI LOVES Gili Bags for their commitment to raise awareness towards a sustainable future by giving new life to repurposed vinyl. Designed and handmade in Colorado, Gili Bags are designed to stand the test of time and are perfect for gear that’s often wet. Ideal for adventure, sports and travel. Designed by dive professionals and whitewater guides, all the gear bags used in the past were made from a cheap black/blue mesh fabric that would not stand the test of time, so we set out on a mission to find the most durable, breathable, colorful, and sustainable material we could, and started making our own. 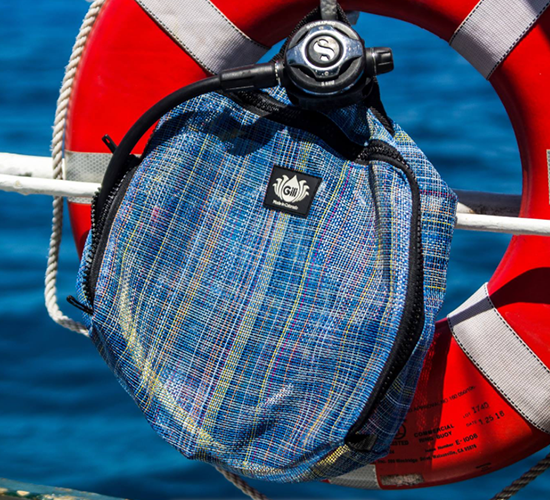 When instructors, divers, sailors, fishermen, friends and family, all wanted a bag, we found a B Corp certified manufacturer in Colorado to do the cut & sew. Four years later, Gili now offers a wide variety of eco-products that are ideal for adventure, sports, and travel.